The corn sugar and caps I ordered ended up shipping late, so we were forced to wait an extra day before bottling our American Ale. 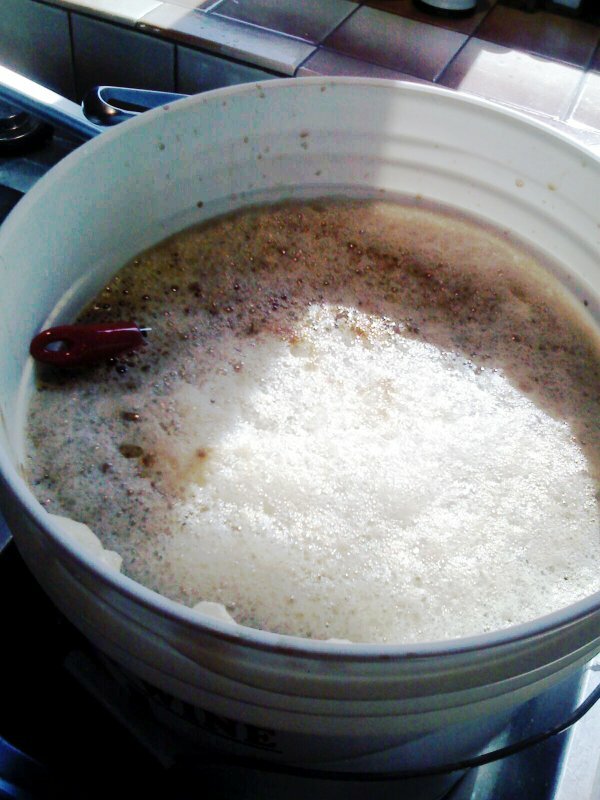 While an extra day may not seem like much, the effect it has on homebrew can be disastrous depending on your recipe. Our ale seems to be unaffected, but it is always good to bottle your beer at the precise time it’s ready. We ended up with 72 bottles this round, which will be ready for tasting in about 10 days. Many visitors to BEER dad ask me “how do you know when your beer is ready to bottle?” and some even ask how exactly you bottle it, so here are a few tips on when and how to bottle beer. Most recipes I use take about 6 days in the fermenter followed by another 8-10 in bottles before the beer is ready to drink. You can measure the gravity of your beer using a hydrometer to tell when it’s ready to bottle, or simply wait until the yeast no longer appears to be active. 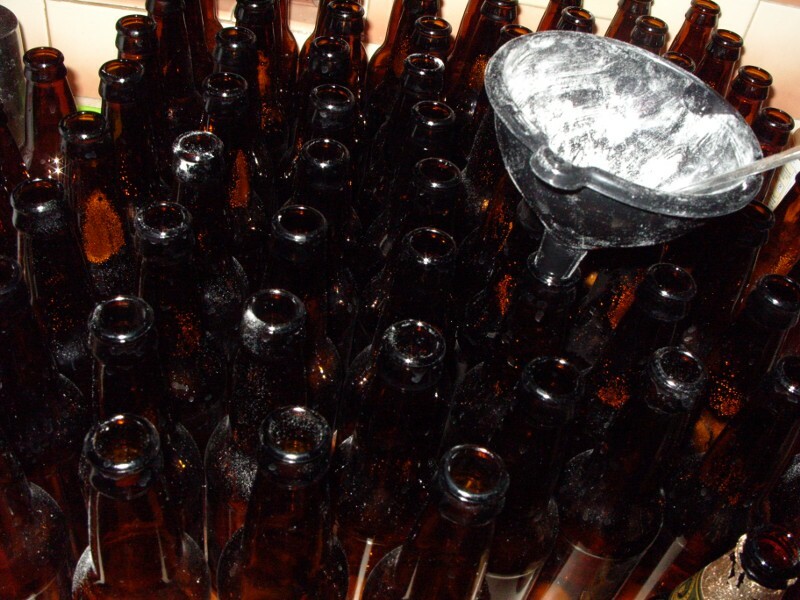 If you bottle your beer while the yeast is still actively converting the sugars into gas and alcohol, they will continue to do so once your beer is bottled, which will lead to extremely carbonated beer, or worse, exploding bottles. The yeast should still be active when you bottle your beer, but not necessarily constantly blowing gas through your airlock when it’s time to bottle. I typically wait 6 days after brewing the beer, or one day after the yeast dies down, before bottling my beer. In the case of our American Ale, this would have been Thursday evening, but we did not have enough corn sugar for priming, so we had to wait an extra 14 or so hours. If you bottle your beer too soon the bottles will either explode or be overly carbonated and will fizz everywhere once opened. Neither are very fun since they waste beer. If you wait too long to bottle the beer, the yeast will die out and will leave your beer flat and overly sweet. Pay close attention to the sounds of your fermenter, or measure the gravity to know the correct time. Use a sanitizer or directions provided by your local homebrew store. I have heard of people using small amounts of chlorine bleach mixed with warm water. I use the one-step sanitizer from my local homebrew store to save time. Priming the bottles gives the remaining yeast something to feed on to pressurize and carbonate the bottles. It also adds a little bit more alcohol once the brew is complete. You typically add 1tsp of corn sugar to every 12oz bottle. You should do this before adding the beer to keep your area clean. You will need a funnel, teaspoon, and about 1.5 cups of brewers corn sugar to bottle 72 bottles of beer. Do not open the fermenter until the bottles are sanitized and primed. Otherwise you risk letting too much oxgen come into contact with the beer. 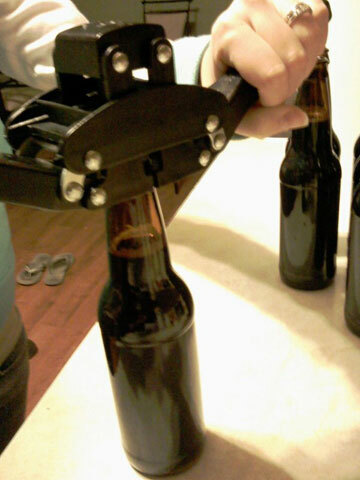 Bottling beer really is that simple, but is time consuming, especially when sanitizing the bottles. 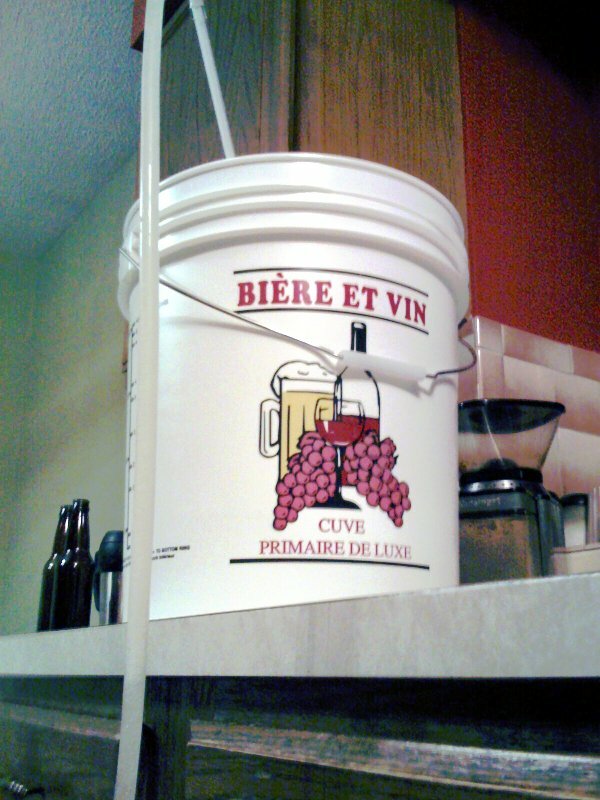 To bottle your beer you will either need a second fermenter (which I do not use so I can tell you nothing about) or a bottling kit from your homebrew store. The bottling equipment consists of a plastic tube, a rubber tube, and another plastic tube. The first plastic tube is called a racking cane. It has a tip on one end, to keep sediment out, and connects to the rubber hose on the other end. 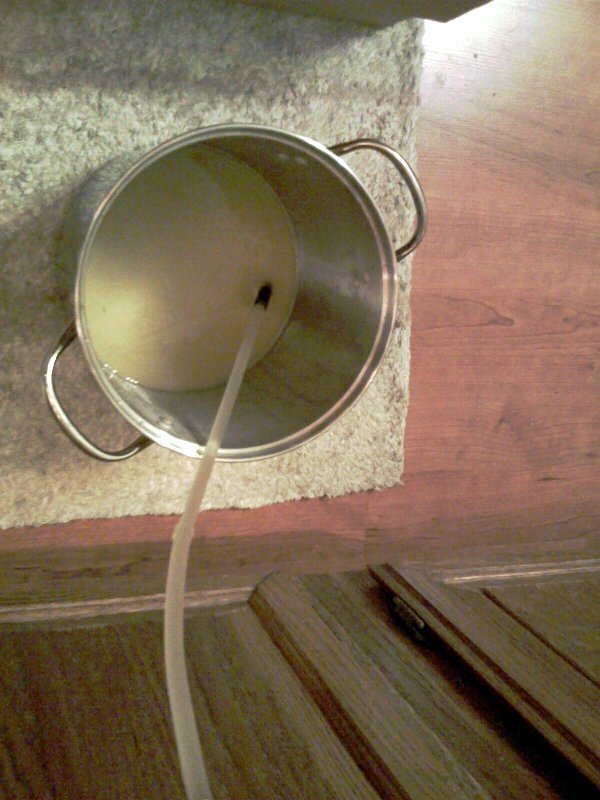 The end with the tip goes in the fermenter. 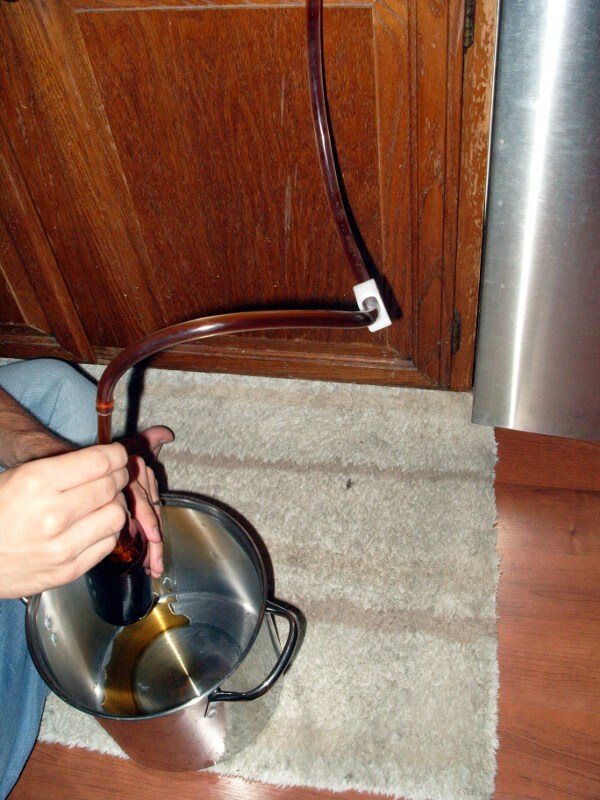 The rubber hose – or siphon hose – is usually sold by the foot and should be long enough to carry the beer from the fermenter to where you are filling the bottles. The last plastic tube is the bottling wand. It has a stopper on the end that will begin filling once it touches the bottom of the bottle. 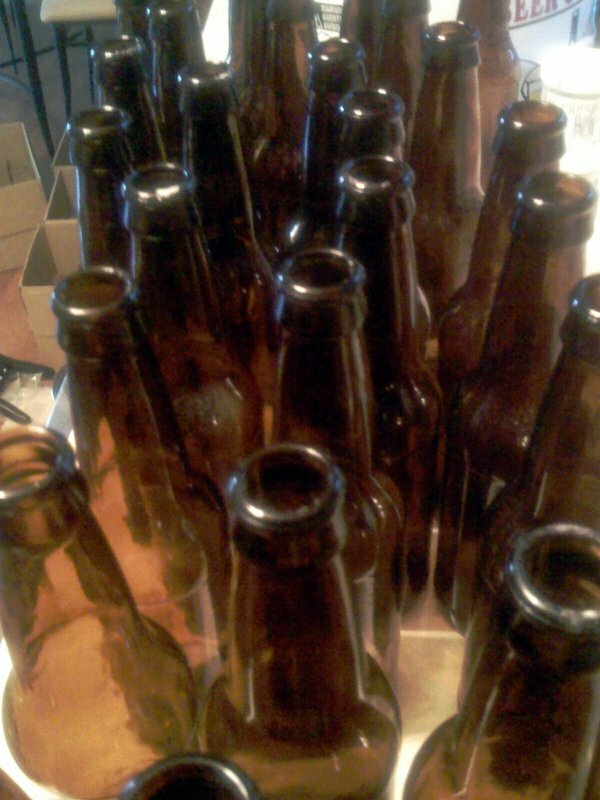 Fill the bottles but leave about an inch at the top for carbonation. 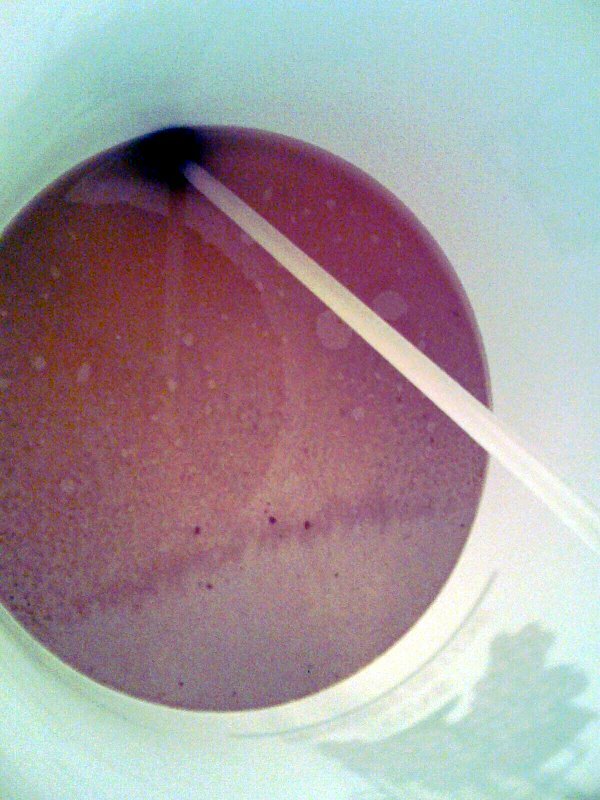 Once you start to see the sediment in the bottom of the fermenter you can probably stop. Finally it’s time to cap the bottles. This part is really boring so it’s best to make a friend or your wife do it. You will need a capper and crown caps for this step. Caps are cheaper if you purchase “overrun” caps in bulk. 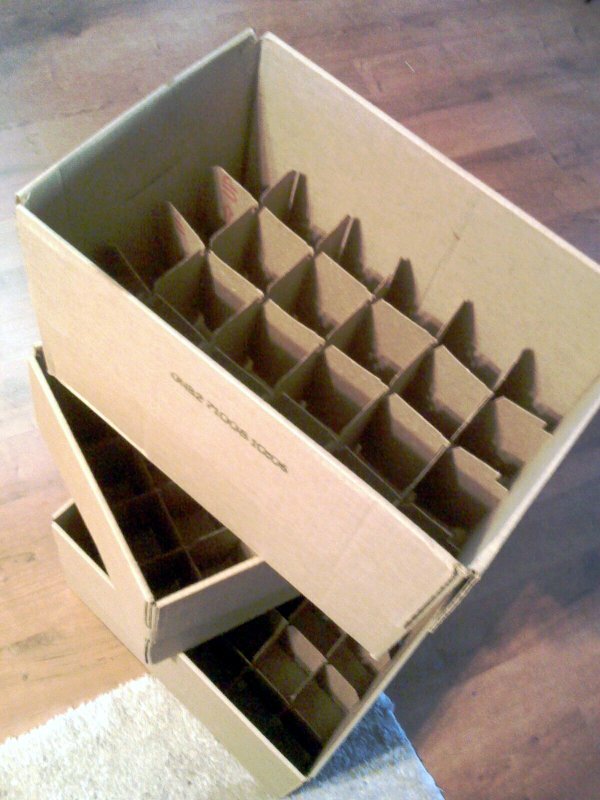 Once your beer is bottled, store it in a dark location where the temperature is fairly constant. The temperature needed can vary by recipe, but is usually 65-75°F.